Congratulations on signing up for a CSA share! Enjoy the culinary road before you. Keep an open mind toward any yet-unfamiliar foods, and savor the fun of discovering recipes which feature them. sweet potato leaves are not only edible, but scrumptious. a lush bunch of parsley looks nice on the kitchen counter, and can harbor delightful, honored "guests" like Eastern Swallowtail caterpillars (who proceed to get prime real estate in the middle of the living room, and whose dietary needs then take precedence over the ingredient needs of the potato salad for which the bunch was previously destined). mint sun-tea laced with lavender is just lovely. we simply can't make enough baked kale chips to satisfy our younger TruffulaBoy. He's hooked on them. we used to think in terms of using garlic cloves, not heads, and now I buy it by the pound. living seasonally takes on deeper meaning when it intersects with your plate. We've become CSA evangelists, happy to share information about the concept in general, and "our" farm in particular, to anyone who's even remotely interested. Yet, I didn't renew our share for 2011. It was a hard decision, but was the direction which felt right. It's not a quitting of the CSA as much as it is a graduation of sorts. In a presentation I attended, a CSA farmer said that she expected her customers to move on after a few years. Sacrilege!, I thought at the time. She explained that her goal was to introduce people to this food production model and to a variety of vegetables, and then to see them use that knowledge. As existing customers left, they created opportunities for new customers to come in. I didn't quite understand that at the time, but I do now; I've arrived at that leaving point. I want to grow more food in our own garden. This has inherent challenges, poor soil and significant shade being among them. I am composting up a storm to improve that clay. As for the shade... I'll learn first-hand which edible plants tolerate what degree of it. Seeds have been purchased! 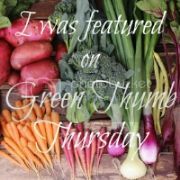 I will do more shopping at my farmers' market and co-op group, and will be a more educated consumer as result of my CSA participation. The TruffulaBoyz and I will continue to volunteer on the farm. Being an end-user of the crops is just one way to support local farms; elbow grease is another very welcome contribution. Very interesting post. I think I might be at the same graduation point-but not for all the same reasons. We are part of a year round CSA. Our family has loved learning about all the varieties of fruits and vegetable. My fridge is currently filled with all sorts of root veggies and other yummy veggies, but I am tired of cooking all of them. I think I just need a break. I am feeling guilty that I might have to say no the next renewal period-so thank you for letting me know that it is OK. Nothing is permanent,we can always come back. I volunteered at my CSA for 3 years, paying for my share with my labor. I finally quit at the end of last year because our move last April took us 20 miles further away from the location where I volunteered. Driving 46 miles round-trip just didn't make sense to me, even if the food was "free". I now travel slightly less than half that distance to shop at my local farmers market, have gotten to know those farmers, and we also have a small garden. Like you, I think I'm a better customer at the fm due to my experience in the CSA. Interesting. This is actually the first year that I have signed up for a CSA. My commitments at my boys' school have prevented me from my regular visits to the farmers market and a move left my edible garden behind. I was heartily thankful to find a good CSA with a variety of veggies and I wish more fruit. I signed up for this coming season as well but hope that, after that, I'll be able to rely on the garden and have a bit more time for periodic farmers' market visits. Thanks for the perspective. We did a summer CSA for one year, and it was wonderful learning experience. Every week, I had to take pictures and email my mom to help me identify some new veggie :) And it helped me to know the next year what I wanted to plant in my garden! However, I might have benefitted from a few more subscriptions --- I've missed the boat with the sweet potato leaves. Please tell me how one serves them since I plan to double the space devoted to sweet potatoes in my garden this year! I would also like to hear about this mint sun-tea with lavender! I still haven't made it to getting a CSA yet. I love the idea of it, but it's definitely not made for picky veggie people. There is one offered at our Farmer's Market that lets you pick what you get and I'm thinking about that one. We've done a CSA several times, and every time, I decide at the end that I prefer the farmers market. I do like the convenience of CSAs though. Just saw this article on "Best Vegetables to Grow in the shade! I just wrote about this topic in the last week, too... we're definitely in the season for this discussion with all the CSA memberships coming due soon. My post focused on how a CSA really operates and how to pick one that suits your needs. You hit on great points I didn't think of... like the great carrots! For our part, we're not doing the Summer CSA this year, but loving the Winter CSA and will probably do it again next year. @Chile - I fully appreciate the conflict between not wanting to drive lots of miles and getting CSA veggies. I'm glad you found a happy solution! @SustainaMom - To prepare the sweet potato leaves, I simply made a saute of leaves and garlic in coconut oil. The sun tea is equally simple: I have some Balsam mint plants which produce leaves that are so delightful. I take a handful of those, add it a sprig of lavender (careful - a little can go a long way), and water. Once the sun has done its work, add a small amount of honey and... luxuriate in the taste! I don't like spearmint, but if you do, you could use a mix of mint types. Thanks for the shade gardening reference! @Renee - joining a winter CSA instead of a summer CSA is an interesting idea. Thanks for offering this alternative.